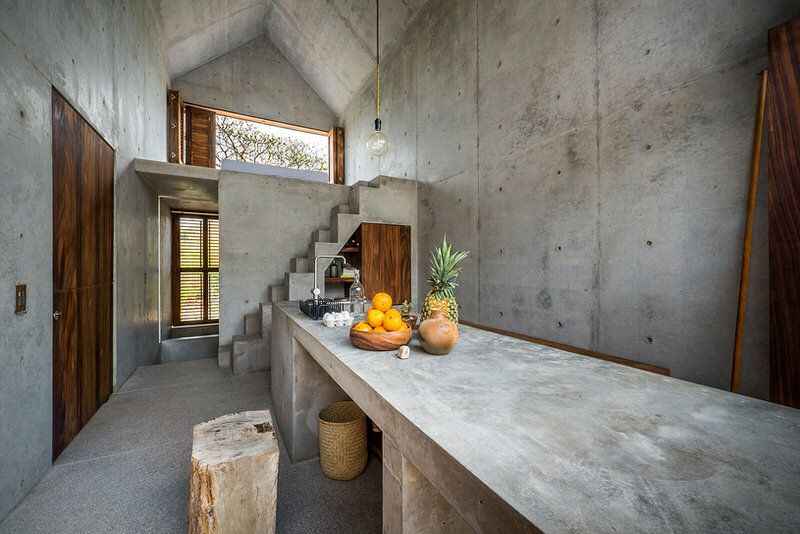 This unique holiday retreat in Mexico was designed by Aranza de Ariño with a refined material palette of concrete and warm-hued parota wood. 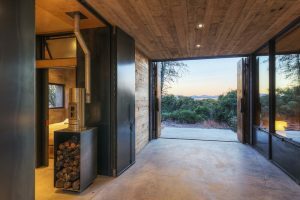 Dubbed Casa Tiny, the cabin is actually available to book on the popular site Airbnb at a reasonably modest price. 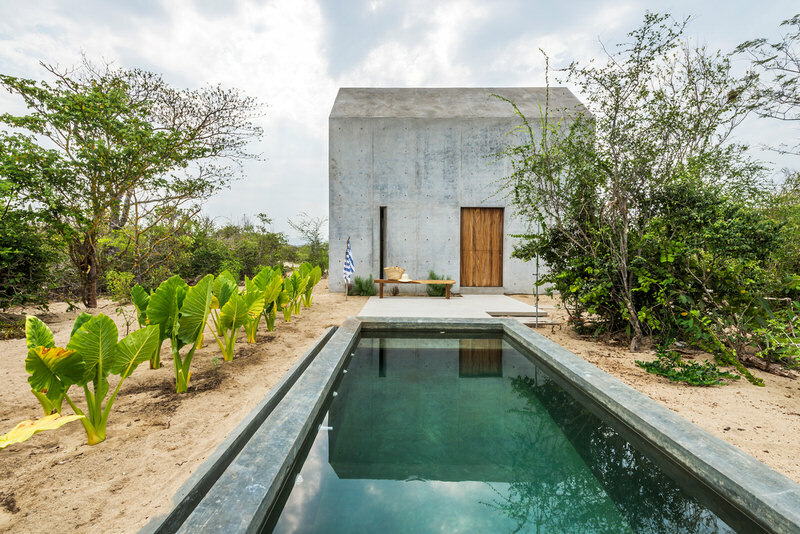 Perhaps surprisingly from these photographs and the dense vegetation that seems to surround the cabin, the beach is a mere 200m away and Casa Tiny was intended to serve as a quiet retreat and surf shack for those hoping to enjoy Puerto Escondido on Mexico’s Pacific coast. 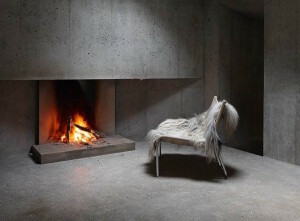 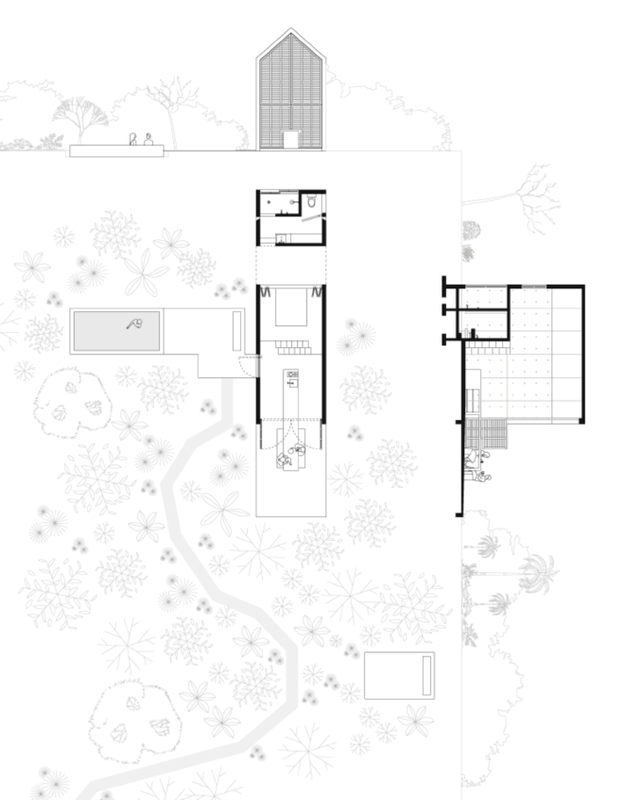 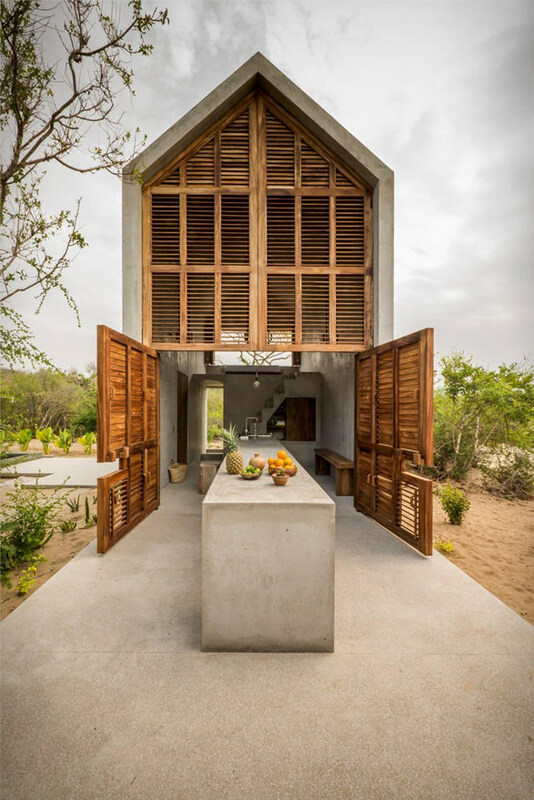 Casa Tiny was the first commission undertaken by Aranza de Ariño, who was still an architectural student at the time of designing the structure. 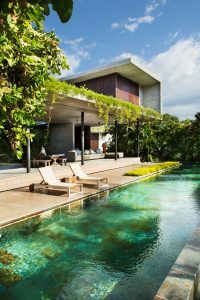 The project cost approximately $45,000 to construct including all utility installations, road access and the swimming pool. 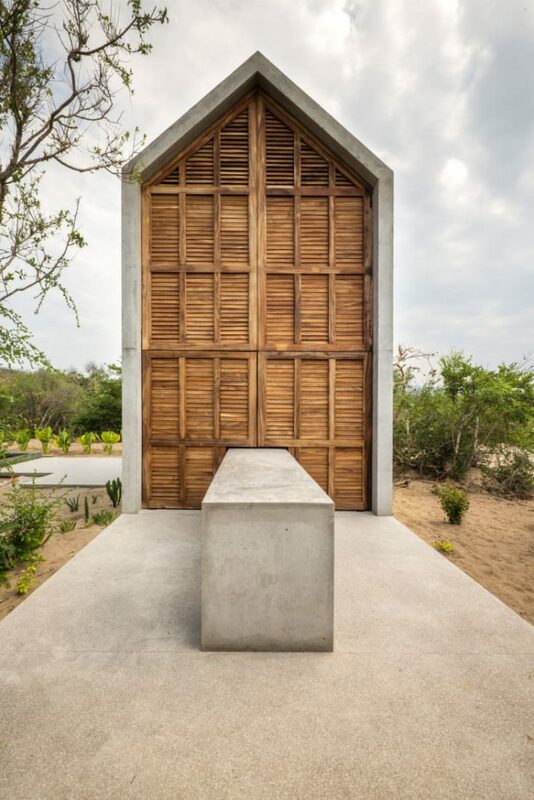 However its worth noting that Casa Tiny features no glass whatsoever in any of its apertures which would have no doubt pushed the overall cost somewhat higher. 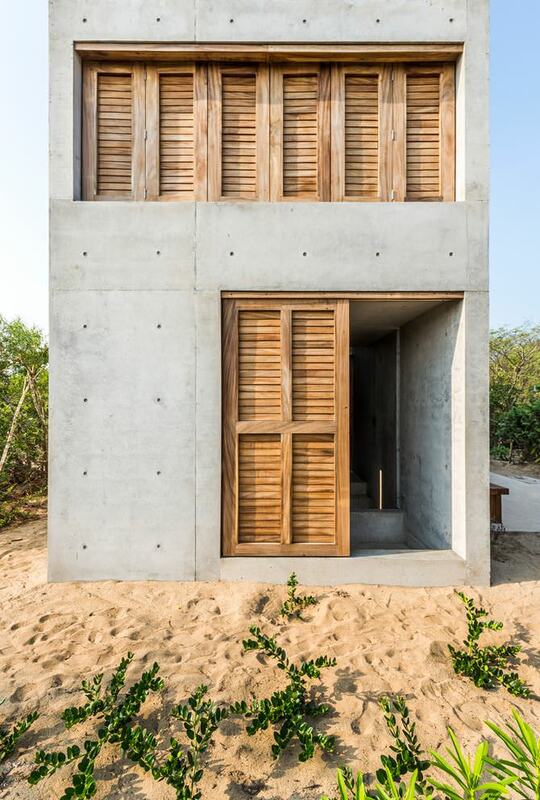 Although composed almost completely of concrete, an entire facade of Casa Tiny features vast wooden shutters and double doors, with notches cut into them to allow these doors to be seamlessly closed around a lengthy concrete table. 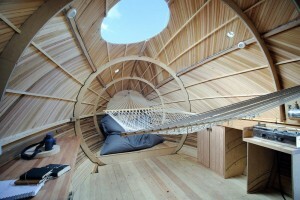 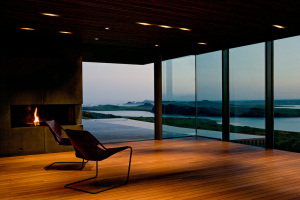 This spans the length of the dwelling at 18 foot and is essentially the sole furniture piece in Casa Tiny. 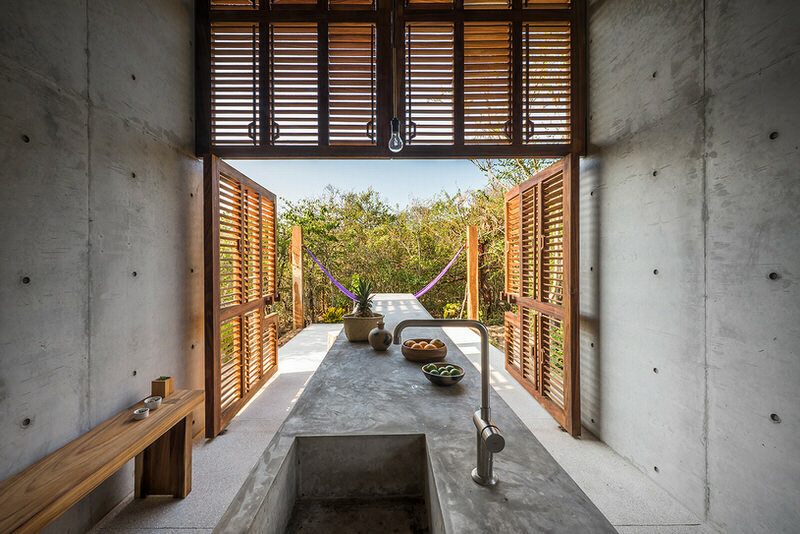 It houses a sink, food storage, and a mini-kitchen, while also providing a dining surface which continues to jut outside. 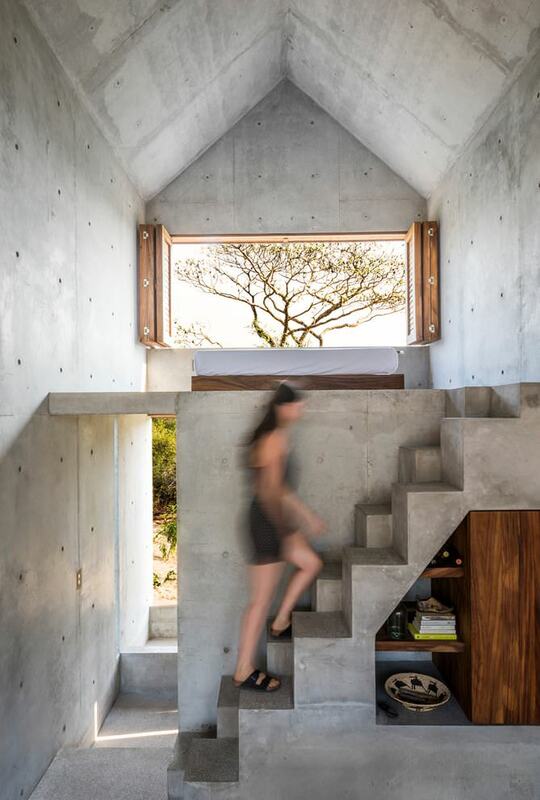 A set of uniquely designed tread stairs provide access to a mezzanine sleeping area, which are both extra compact and provide an additional storage compartment below. 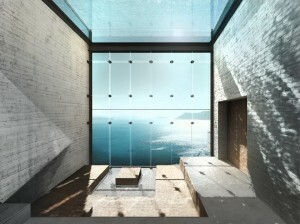 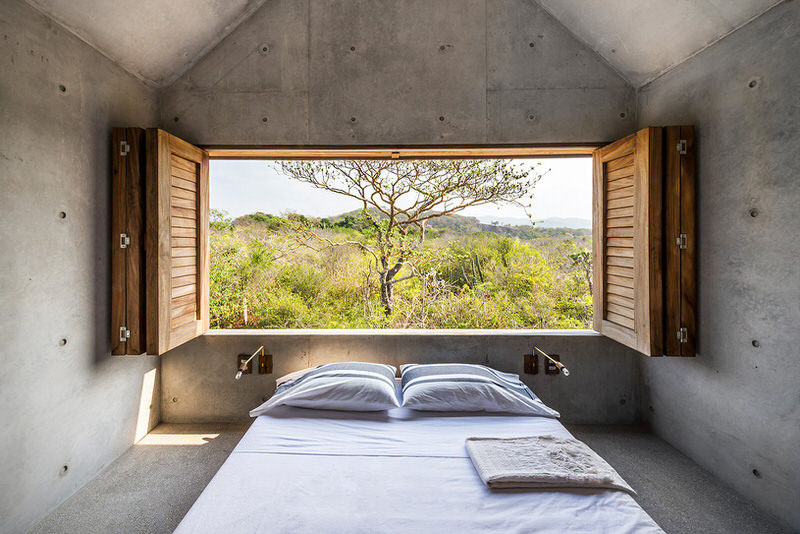 The sleeping space overlooks the Mexican hillside via a wide angled window which is again wooden-shuttered. 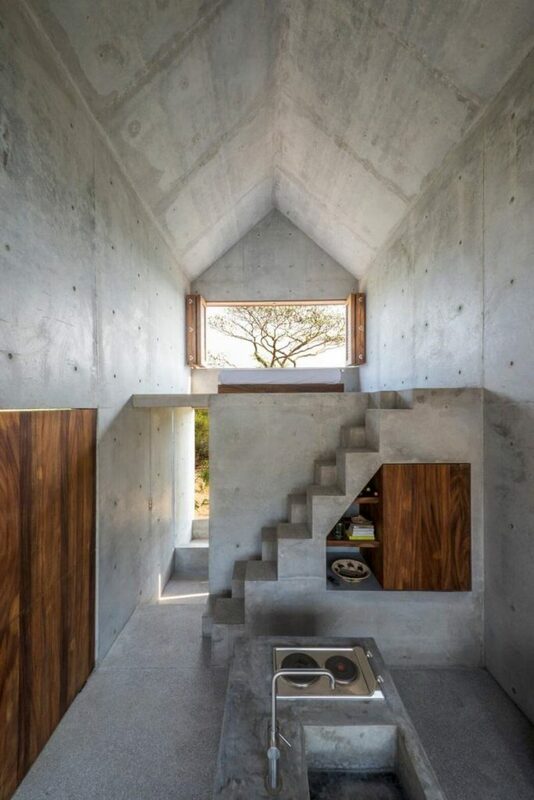 This aperture coupled with the louvred frontage allows a through-breeze to run through the length of the concrete dwelling to help keep it cool.